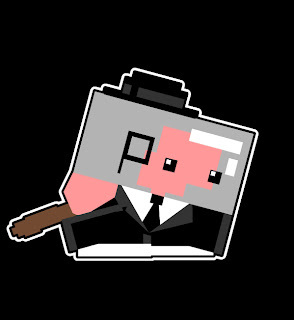 So i finalized the "Dr Fetus" Meat Boy image im going to be using for the Meat boy T-shirt (to be sold on newgrounds.com). 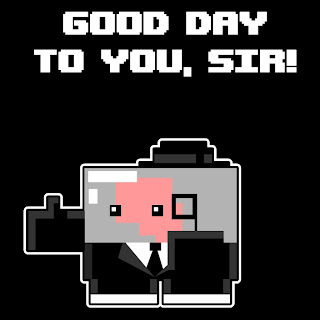 It took a while but i finally decided to go with "Good day to you, Sir!" instead of "Class in a Glass" and "Abort this" text, but thanks to Both Danielle, DannyB and Jon for the suggestions. It should be up in the newgrounds store in a month or so, im sure ill post it here when it is. Its nice to finally design a tshirt image that ill actually wear. Ive been working for tshirt hell for the past 2 years and dont get me wrong some of the shirts are pretty cool, but i have yet to design one id actually wear. oh i also did this for the back, but turns out they only print graphics on the front :(.. poop.